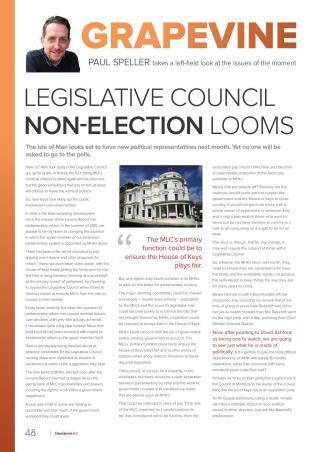 Paul Speller takes a look at the future role of the Legislative Council in his latest column for Business 365. He suggests a stronger role in scrutiny and a lesser role in government may be the future for the unelected upper chamber of the Manx parliament. The column also notes that one of his previous predictions regarding the precarious position of a government minister turned out to be portentous. You can read all of Business 365 online here. Gallery | This entry was posted in News and tagged Business 365, Isle of Man, politics, Tynwald. Bookmark the permalink.